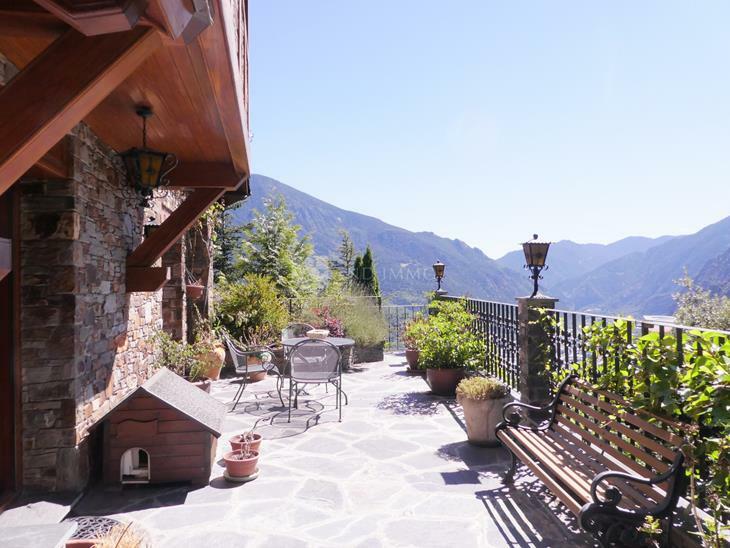 Splendid semi-detached house with garden and views located in a quiet urbanization of Escaldes-Engordany, 5 minutes from the center of Andorra and all daily services. The modern property has high quality finishes, parquet to the bedrooms and ceramic tiles in the day area, aluminum windows with double glazing ... 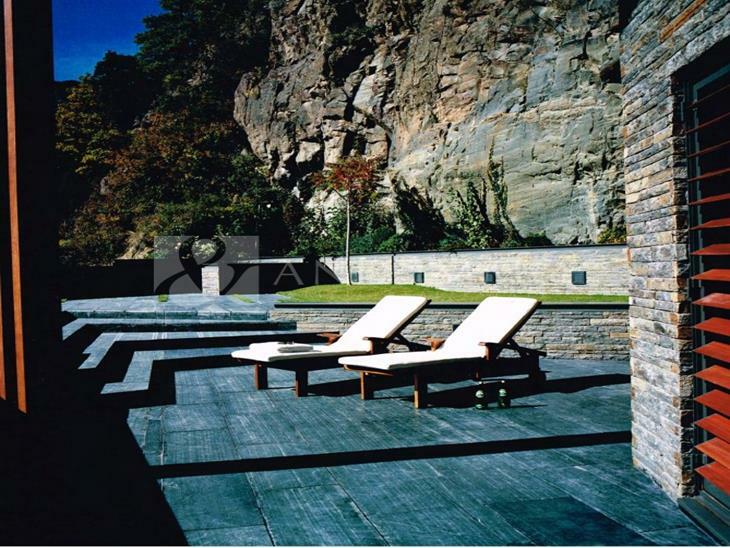 While retaining a rustic style typical of the Principality. 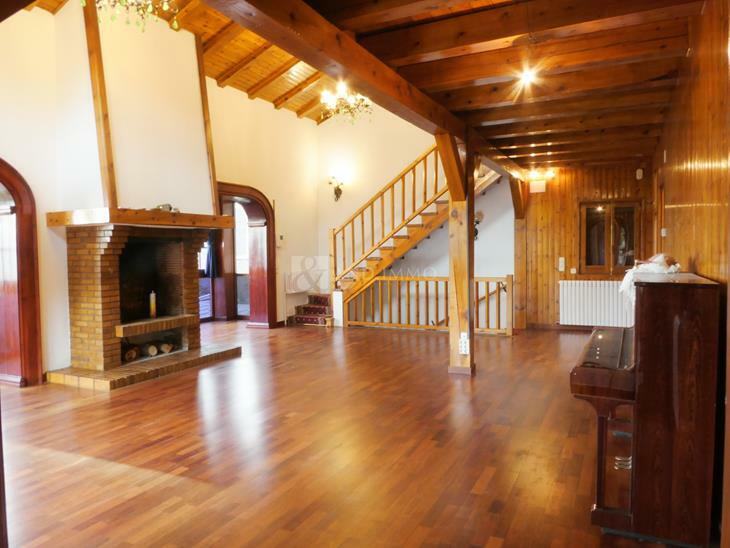 The house has 250 m² distributed in 4 levels connected by stairs: In the basement of 83 m² the garage with capacity for 2 vehicles, the laundry, a cellar and the boiler. On the ground floor of 61 m², we find the day area composed of bright living room with fireplace and access to the terrace and the 167 m² garden with stone barbecue where you can fully enjoy with family and friends. The large dining room is new construction with large windows to enjoy the wonderful views of the valley. The kitchen is closed and equipped, has place for a table where to make small meals. For comfort there is also a courtesy bathroom. On the first floor of 61 m², we find the night area with 3 double bedrooms with fitted wardrobes that share a bathroom with shower. One of them has access to the terrace. On the second floor of 45 m² we find the master suite with its full bathroom, large fitted wardrobes, office and exit to the terrace. The property is completed with two storage rooms of 15 m2 each and an orchard in the upper part of the garden.